There are more than 12,000 types of wildflowers in Western Australia, a staggering 60 per cent of which can’t be found anywhere else in the world. 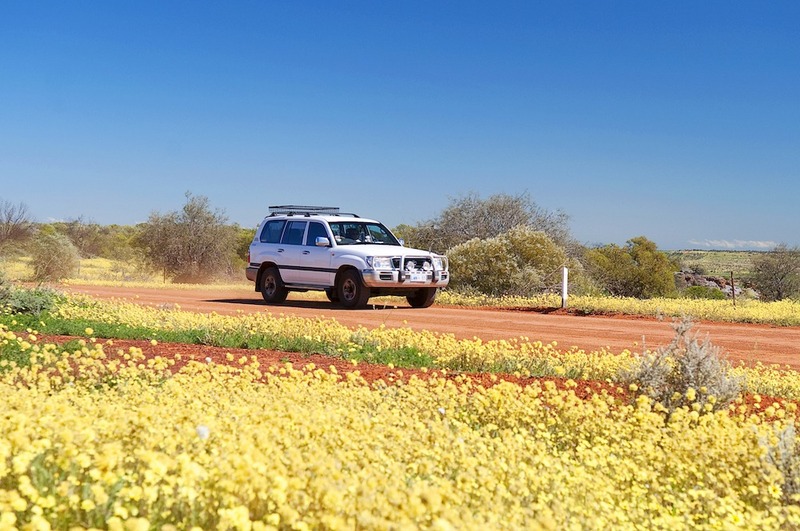 Extending from Perth to Kalgoorlie in the Goldfields-Esperance region, the Golden Outback Wildflower Trail leads you through a breathtaking array of colourful seasonal wildflowers and past a dynamic landscape of sandy plains, secluded forests and historical gold rush towns. The wildflower season runs roughly from September to November, but the track provides an abundance of stunning views all year round. Keep an eye out for the rare and elusive wreath lechenaultia, as well as the orange-flowered Nuytsia floribunda, also known as Australian mistletoe, in the warmer months. Dalwallinu is known for its wattles and annual Wattle Week Festival, which takes place every September. Featuring market stalls, children’s activities, parades, barbecues, quiz nights and cabaret, the festival occurs when the town’s magnificent wattle trees are in full bloom, and provides visitors with a chance to sample some local bush cuisine (including wattle seeds!). Home to pristine blue-water beaches that host an incredible array of marine animals, and surrounded by prestigious national parks, including the famous Cape Le Grand, Esperance is the perfect location for those looking to escape beyond the country to the coast. Try your hand at fishing with the locals, go snorkelling in the world’s largest fringing reef, or catch one of the wildlife cruises that depart daily from Esperance to Woody Island and the Recherche Archipelago, a beautiful bay made up of more than 100 protected islands.